Indian art reflects the intimate relationship of ideas and life along with material and spiritual world, expressed through different visual forms in sculpture, painting and architecture. 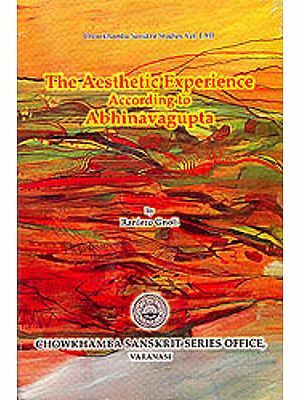 This book aims at presenting various shades of Indian art in a historical perspective and contains not only the unpublished material but also the analyses and fresh interpretations on different aspects of Indian art including Buddhist and Jaina iconography, aesthetics and art appreciation and painting. The discussions on the Indian jade-carving, rare yogini, Visvarupa and Visnu images are also significant. The present volume thus aims at documenting and analyzing some of the living and past traditions of Indian art. Profusely illustrated, the book will be equally useful for the scholar researchers and all others interested in the art heritage of India. Prof. Maruti Nandan Tiwari is the Head of the Department of History of Art, Banaras Hindu University. He did his Ph.D in Jaina Iconography and has worked extensively on different areas of Indian Art. Besides 100 research articles, Prof. Tiwari has seven books to his credit which include Jaina Pratimavijnana, Elements of Jaina Iconography, Jaina Art of Khajuraho, Ambika in Jaina Art and Literature, Madhyakalina Bharatiya Murtikala (joint), Madhyakalina Bharatiya Pratimalaksana (joint), Kasi ke Mandira aur Murtiyan (joint) and Jaina Kala Tirtha : Deogarh (joint. Prof. Tiwari also organized an International Seminar on the Art of Khajuraho at Khajuraho in February 1987 and edited the Proceedings of the Seminar jointly with Prof. Kamal Giri. He is also the Editor of Kala : The Journal of Indian Art History Congress. Prof. Kamal Giri, Hon. Joint Director, Jnana-Pravaha - Centre for Cultural Studies, Varanasi, recently retired from the Department of History of Art, Banaras Hindu University after completing thirty-three years of teaching assignment. She has published more than 100 research papers on different aspects of Indian Art and Culture and presented papers in the seminars in India and abroad. She has five books to her credit on Indian Art and Culture. She has been the Assistant Editor of Chhavi: Felicitation Volume of Rai Krishnadas (1981) and the Editor of Khajuraho in Perspective (1994). She has also been editing Kala : The Journal of Indian Art History Congress Since 1995-96. The study of Indian art has undergone several stages from art for art sake to the art as visual expression of religious concepts and philosophical ideas. Further in all its magnitude and forms Indian art is taken to be the most vital, detailed and authentic record of the contemporary society specially in respect of Socio cultural life. At present the study of Indian art is progressing with certain new dimensions and with the holistic and multi disciplinary approach particularly in reference to period and region. No doubt a lot has been done but much is till to be done specially in the areas of folk and regional art forms which require extensive fieldwork and documentation to underline the living as well as past traditions of Indian art. For this undoubtedly energetic young scholars should come forward to take up this marathon task. In this connection the encouragement from senior scholars is also needed on several scores including their career prospects. The present volume comprises 18 articles. As usual the articles contributed by the senior and young scholars pertain to the unpublished and also to the analyses and fresh interpretations of different aspects of Indian art and aesthetics. It is needless to write that the publication of this volume is possible only due to ungrudging help of the scholars who have been kind enough to contribute on different areas of Indian art. We are sure that their help will continue and the publication of these volumes with further be improved by the collective and collaborative efforts. The inspirations received from the chairman, Dr. M.K. Nigam and the general Secretary, Dr. R.D. Choudhury have always encouraged us for which we express our gratefulness to them. Out thanks are due also to Dr. Shanti Swaroop Sinha and Dr. Anand Prakash Srivastava for their help in proof reading and sundry matters. Lastly we also offer out thanks to M/s. Aryan books international New Delhi for publishing the volume nicely.